My son got this book as a gift a couple of years ago. It became an instant hit with him and he still says it’s his favourite book to read! He had it memorized quite quickly because we read it so often! Karen Beaumont’s tale of a boy going on a painting spree is pretty funny, even if it is every mother’s nightmare (imagine cleaning up that mess!?) While the child’s painting adventure begins with different parts of the house – the walls, the floors, even the curtains! – his own body winds up being his masterpiece. 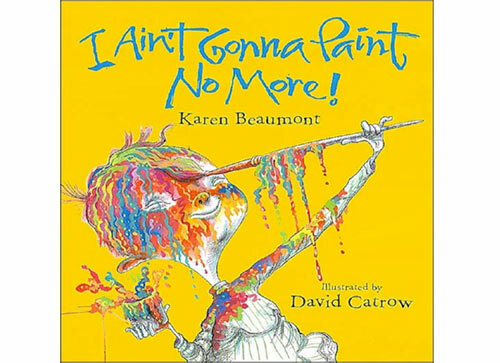 Colourfully illustrated by David Catrow, the lyrical, repetitive flow of I Ain’t Gonna Paint No More makes this book one that young kids can easily follow along and will enjoy over and over again. 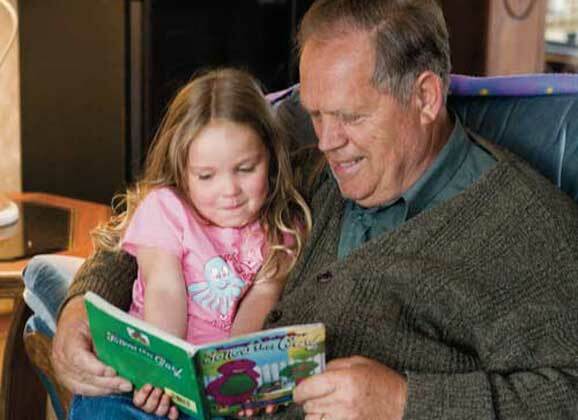 For parents, it’s like a catchy song that you can’t get out of your head, but you are happy to recite it repeatedly because it’s not only fun to read but it makes your kids laugh. I don’t know about you, but any book that can give my kids that much joy is a winner! And if it inspires my children’s artistic side then that’s a bonus…so long as they don’t paint the furniture! Jennifer Traynor is a full-time working mother of two kids, living in Ajax, Ontario. Her blog, Mama @ Heart, takes readers on her journey through motherhood. Favourite activities to do with her kids include reading, playing board games and impromptu dance parties! This self-proclaimed chocoholic loves to bake and cook and enjoys trying new recipes. When she’s not working or with her kids you can find her sitting with her laptop writing and editing, sitting in lotus pose on her yoga mat or sitting snuggled on the couch with her husband catching up on favourite shows or watching a movie. Visit Jennifer at www.mamaatheart.com or follow her at @Mama_At_Heart and facebook.com/mamaatheart.